Winter keeps coming and going. We have a few days of freeze followed by a few days of thaw. It’s really a bit annoying at this stage, it would be nice to have mother nature decide if we will have winter or an early spring. 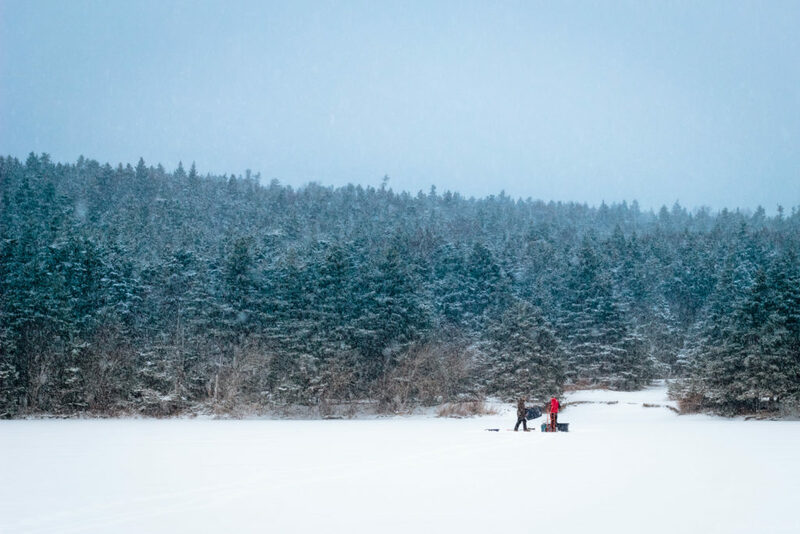 Still after a few days of freeze and some brave souls decide to go out ice fishing on the pond in a snow squall. The 50mm doesn’t have the reach to zoom in and show much detail on the fishermen. I couldn’t get closer than the end of a dock, I wasn’t going out on the ice but it was still worth trying to compose a shot. 50 With A 50, Snow 50 With A 50, 50mm, Week4 Bookmark the permalink.